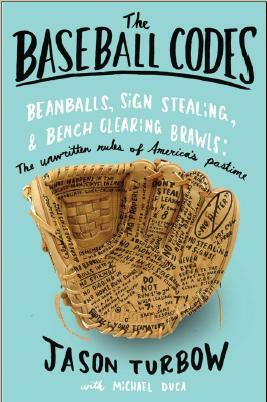 Because baseball’s unwritten rules are built upon the concept of respect, the first rule among them is usually don’t run up the score. So when Houston manager Porter—and by extension, Astros pitcher Paul Clemens—took exception to Oakland’s Jed Lowrie laying down a bunt (against an accomodating defensive shift, no less) in the first inning on Friday, it was nothing short of ludicrous. Houston’s fuse had burned short: The A’s had already scored seven runs in the frame, and Lowrie was batting for the second time. Also, they’re the Astros. When Clemens faced Lowrie in his next-at bat, in the third, there was no mistaking his intentions. The right-hander’s first pitch was aimed at Lowrie’s knee, and ended up going between his legs. (Watch it here.) His second pitch was also inside. Porter’s rage would have been understandable if it was even the sixth or seventh inning, let alone the eighth or the ninth. Sure, his team is the AL-worst Astros, who boast six sub-.200 hitters in the starting lineup, and whose best hitter, Jason Castro, is batting .216. Yes, Porter was already into his bullpen. His is probably the perfect team to lend credence to the point that, in the face of the Astros’ own inability to score runs, Lowrie was, in some way, rubbing it in. But still: IT WAS THE FIRST INNING. Lowrie hit it on the screws in his postgame comments. Yes, we are. Yes, we are. Not only that, Lowrie also commented that Houston was later one swing away from it being as close as a 2-run game. If the Astros are going to play that defensive shift in the first inning of a 7-run game at the time, there’s zero problem with Lowrie trying to bunt to beat it and score a bit more. 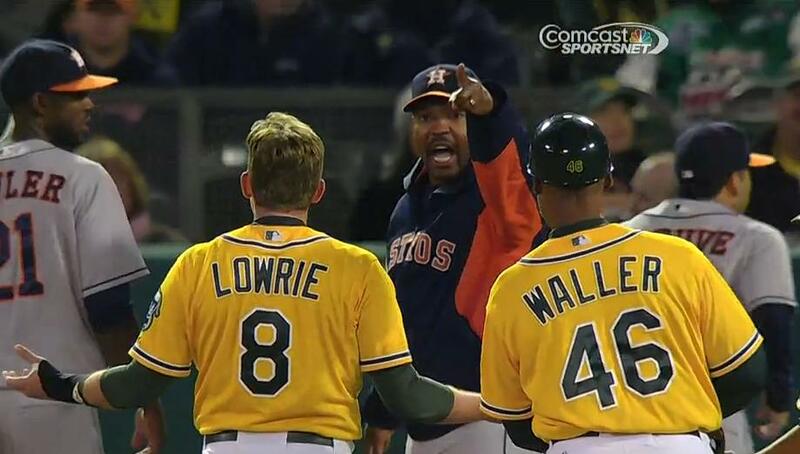 If you’re Bo Porter, you don’t get to play the shift then whine about it when someone tries to beat it with a bunt. That would be the same if it was later in the game, too. If you’re going to take the attitude that the game is out of reach so the other guys shouldn’t try to take advantage of a situation, you can stop playing the shift as well. Your angle is similar to the tack taken by would-be base stealers who are expected to refrain from running late in blowout games even when they’re not being held on. The defense wants to give itself an advantage by playing the first baseman in the hole rather than on the bag, and expects the runner to stay put out of decorum. In the eighth or ninth inning, an argument can be made that there’s at least some logic to this, as it pertains to running up the score. If somebody tried it in the first inning however, fireworks would surely follow. Bo Porter is an idiot. I don’t think his style fits with a young team. I kind of felt sorry for the ‘Stros and now I think they’ve woken the beast!!! LET’S GO OAKLAND!!! Jason, I just have to say I love how you respond to comments and I also love your book. Thank you for your insight!